According to the National Highway Traffic and Safety Administration (NHTSA), 3,450 people were in killed in auto accidents that involved some form of driver distraction in 2016. An estimated 391,000 people were injured in driver-distraction-related collisions in 2015. To put this all into perspective, in just 5 seconds at 55 mph, a vehicle travels the length of a football field. So much can happen in that brief amount of time given the distance that is covered. Our Brooklyn, NY auto accident lawyers would like to consider the dangers of driving while grooming. It may seem like it’s saving time, but this form of distraction is also leading to injuries and the loss of lives. Your Eyes Are Not on the Road - When you’re looking at the rearview mirror or the mirror in a compact, you’re taking your eyes off of traffic. Driving blind means potential accidents with other vehicles as well as pedestrians or bicyclists. Both of Your Hands Are Not on the Wheel - Both hands should be on the wheel at all times for proper vehicle control. 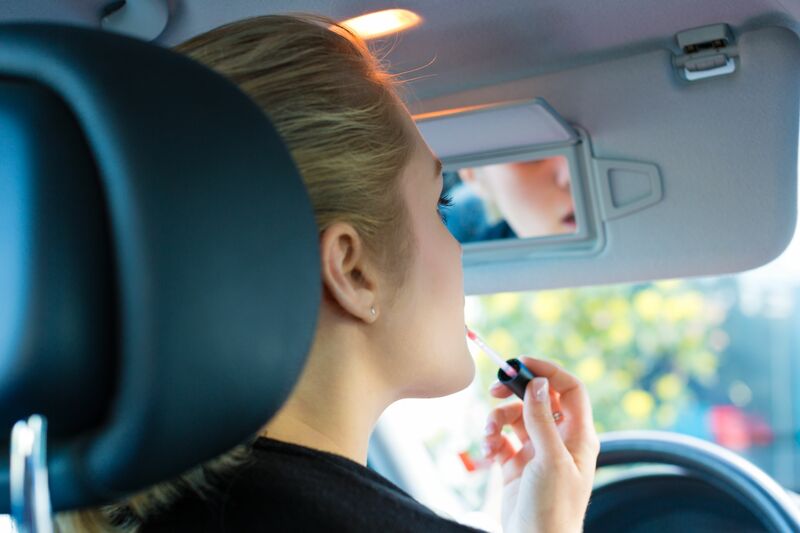 If you’re combing or brushing your hair or applying makeup, one hand or both hands may be off the wheel, which makes it more likely that you will lose control of your vehicle. Your Attention Is Diverted - Aside from your eyes and hands being occupied, your mind is also occupied. If you aren’t focused on the road, you might not be able to react in time to avoid a crash or to stop your vehicle safely. You may think that grooming at stop lights and stop signs might be ideal. While it’s technically safer than grooming while a vehicle is in motion, you are still distracted from the road. Oncoming hazards and other issues can still pose a danger since you are in traffic. It’s best to avoid grooming while your vehicle is running. The best way to avoid accidents is to make extra time to groom yourself at home. You can comb your hair, do your makeup, and do anything else you have to do in a safe environment. If you do have to groom, only do so when your vehicle is safely parked and the engine is off. This keeps you out of traffic and makes sure you are completely safe while you tend to your appearance. If you have to multi-task on the go, you may want to consider getting a cab or using a car service such as Lyft or Uber. Your driver will keep their focus on the road while you can concentrate on your hair and makeup. For more information about your legal rights following an auto accident, it’s important that you contact the lawyers of Gary A. Zucker & Associates. We will fight for you during your time of legal need.